Many people ask about how Mammologix got started. 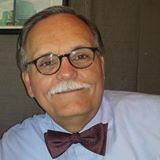 As a former radiologic technologist, Medical Imaging Director, and Imaging Specialist for a Fortune 100 company, I happened to become extremely involved with the Mammography Quality Standards Act of 1994. I witnessed the fact first hand remaining accredited with these new mandates required not only computing technology, but also skilled human resources to help wade through the data generated to create useful and meaningful information. The tipping point that got us started was a day back in 1995; I met with the manager of a small rural imaging center. She told me her facility was contemplating spending nearly $20,000 (that’s $102,400 in 2016 dollars) to track and report outcomes for the 4 to 5 mammograms performed per week! It was there the concept taking advantage of the economies of scale available through using an outsourced service took root. Instead of software, Mammologix partners with facilities to let them focus on taking care of their patients, while we assist with taking care of the data. 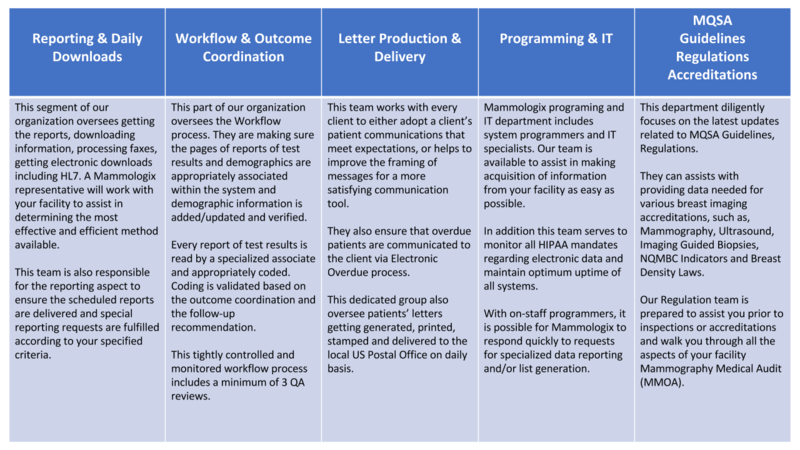 Since that time, Mammologix has provided reporting for thousands of MQSA inspections, on hundreds of facilities, tracking many millions of examinees under going nearly a hundred million breast imaging and interventional procedures. Meanwhile, we remain committed to accommodating each client’s unique needs through providing best service, with the best people at the highest quality possible. Our entire team looks forward to being of service to your facility. Please feel free to reach to us if you have any questions. When you've seen one mammography facility - you've seen one! Each have their very own challenges and needs. That's why it is so important to continuously serve our clients in a way to fulfill their distinctive attributes while offering the highest quality of tracking and outcome reporting in a very economic manner. ​Richard 'Rick' Lippert, Founder & President of Mammologix, powered by i/oTrak, Inc.